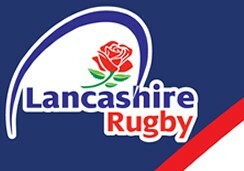 The newly formed Lancashire County leagues held a launch event at Tyldesley RUFC last Saturday. The 1st XV Captain, Will Dickenson, escorted by the Chairman and Secretary were on hand to scoff the refreshments, bag a few free match balls, kindly supplied by Rhino Rugby, and in the Skippers case pose nicely for the camera with the other ADM 1st Division Captains. l-r : Manc Medics, Thornton Cleveleys, Burnley, Bury, Wigan, Ashton u Lyne, Ormskirk, Clitheroe. The 1st XV open at home v North Manchester on Sept 8th. The 2nds on Sept 1st v Bolton 3's also at home.